The Gulf of Mexico is an amazing natural treasure, but it's been hit hard by the oil industry, the fishing industry, water pollution, wetlands loss and climate change. Right now, we have a unique opportunity to protect important marine habitat - home to 15 threatened or endangered species of sea turtles, whales, and corals. Take action to support efforts to make the Gulf more resistant to the impacts of climate change while adding resiliency to our fisheries and the habitats marine wildlife rely upon. The Flower Garden Banks National Marine Sanctuary is a relatively small protected area, cumulatively just 56 square miles, over 100 miles off the coast of Texas and Louisiana. NOAA is currently considering expanding the sanctuary, and adding important deep water habitat in a wide range of areas. Sign this petition to NOAA and urge them to expand Flower Garden Banks to include as many coral reefs and banks as possible, keeping important habitat intact throughout the North Central Gulf of Mexico. Due to the huge impact of 2010's BP drilling disaster on the corals of the Gulf, it is appropriate to utilize BP restoration dollars to fund this effort. The largest expansion NOAA is considering would add 935 square miles to the sanctuary. This alternative includes 57 nationally significant natural features and 8 nationally significant cultural and historic resource sites. In addition to supporting this expansion, urge NOAA to implement and study no-fishing zones within the sanctuary to better assess how to protect important species throughout the Gulf. Representatives of the commercial fishing and oil industries are pushing back against the expansion, calling it a land grab and a bait and switch. This opposition ignores the fact that an area in the Gulf the size of California and Washington state combined has already been leased to the oil industry, and that the vast majority of the Gulf is wide-open for commercial and recreational fishing. The waters of the Gulf are owned by the federal government, and as such, should be managed for ALL the public, not exclusively for specific corporate interests. Thank you for considering expanding the Flower Garden Banks National Marine Sanctuary. We write in support of option 5, expanding the sanctuary to encompass as much important marine habitat as possible. Due to the heavy industrial, fishing, and pollution burden that the Gulf of Mexico is subjected to, we feel it important to increase habitat protection and resiliency as mush as possible. With climate change impacts mounting, these deep water habitats will be critically important to long term conservation efforts. Due to the huge impact of 2010's BP drilling disaster on the corals of the Gulf, it is appropriate to utilize BP restoration dollars to fund this effort. In addition, please implement no-fishing zones within the sanctuary to study the best way to increase habitat productivity and help protect the species of the Gulf. Help amplify your voice! Click to add your social media support to the campaign to protect Gulf habitat. We can send a huge message to NOAA if 250 of us add our FB and Twitter support! 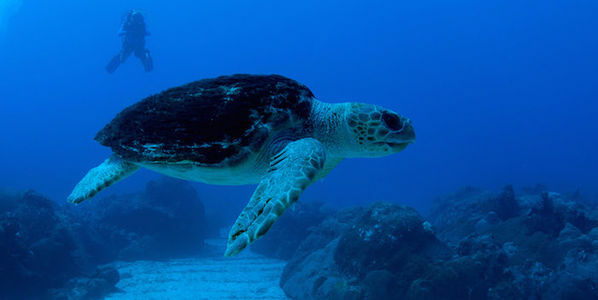 Thanks for protecting sea turtles & sharks!